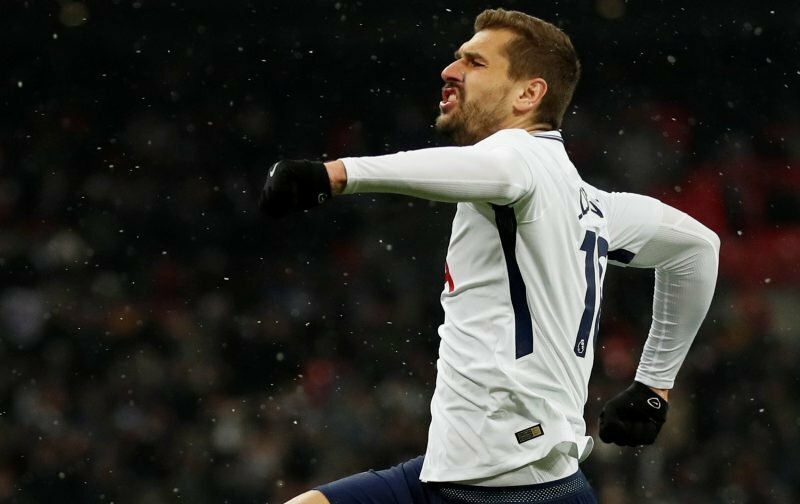 According to Star, Galatasaray have ‘agreed personal terms’ with Fernando Llorente and now need to agree a fee with Tottenham to procure his signature in January. Sport Witness have revealed that Gala are desperate for a new centre-forward this season and are hoping to talk with Spurs to bring Llorente to the Türk Telekom Stadium next month. Tottenham might be open to a sale in January, even if they don’t replace the Spaniard, as Mauricio Pochettino can turn to Heung-min Son, Erik Lamela and Lucas Moura in Harry Kane’s stead. Vincent Janssen is due to return from a foot injury soon too. Vital Spurs reported that Gala might yet have some competition from Fenerbahce for Llorente’s signature, but Star say otherwise. With the 33-year-old racking up just 23 minutes of Premier League football this season, it’s clear that Mauricio Pochettino has no plans to utilise him. Since joining Spurs from Swansea City in 2017, the outcast has made just 11 starts in all competitions and is out of contract next June. It’s hard to see Llorente signing an extension before the season comes to a close, so an exit is inevitable either next month or next summer. He could be Galatasaray-bound. Best for all parties I suppose, if true. I still think he could have been better used, but given that we won’t change our system to suit his style, it’s best to just move on.